We offer complimentary valet with dinner. Wednesday nights we have a musical entertainer between 7pm-10pm. Wednesday night is ladies night. $5 martinis for ladies and live music from 7pm-10pm. 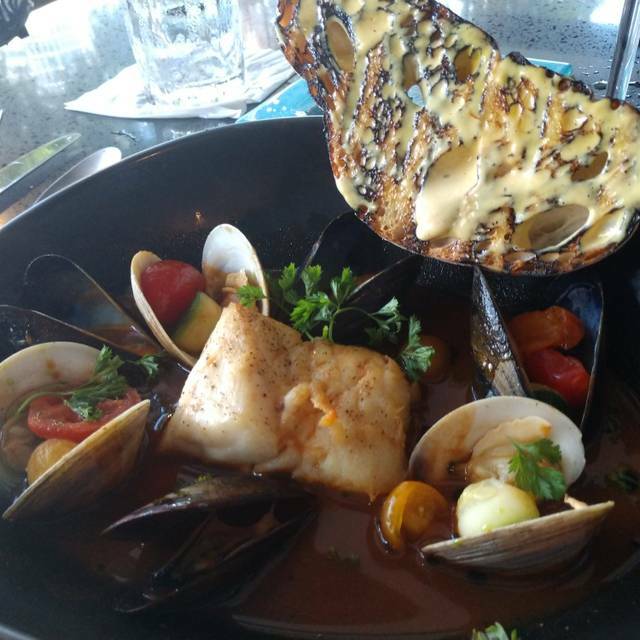 Wild Sea Oyster Bar & Grille is a coastal chic seafood destination located on Las Olas Boulevard and influenced by James Beard acknowledged Chef Toby Joseph. 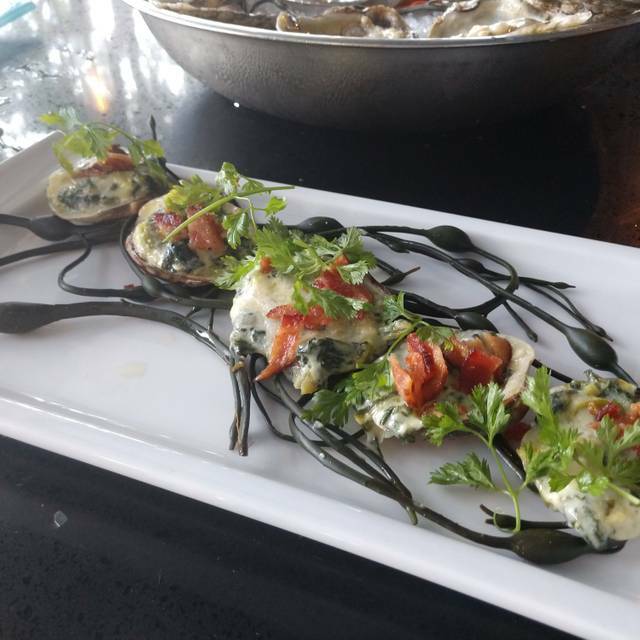 The cuisine ranges from a seasonally fresh raw bar to one-of-a-kind, sustainable entrees. Enjoy dinner with either one of our highly acclaimed hand-crafted cocktails or explore our extensive wine list inclusive of more than 200 offerings. The restaurant offers guests the unexpected by doubling in the evenings as a luxurious lounge, complete with any of our luscious libations, late-night bites and music. Wild Sea also offers private dining space to suit any size or style. Enjoy half off drinks $12 and under as well as half off a chef's selected oyster. If you’re craving fresh oysters this is definitely the place to go! My date and I shared the smoked fish dip as an appetizer which was so flavorful, and then had a dozen mixed east coast and west coast oysters. For dessert we had the red velvet beignets that were absolutely phenomenal. Krystle was our server and she was very nice and knowledgeable. We will definitely be returning! Great ambiance and very good food. Quirky service, apparently untrained, keeps it from being special. Great Food, Service, Live Music, Expensive but worth it! The food was great and we thoroughly enjoyed the violinist . We'll definitely be back. Very nice location and outdoor street seating was great on a beautiful evening. Excellent fresh west coast oysters and highly recommend the monkfish dish... very good presentation and complement to fish. We will be back! Tami was a wonderful and informative server. Brandon was an awesome host and also helped with some great recommendations. Food was great! Definitely will be back! My mother, sister, and I went to Wild Sea Oyster Bar on April 7, 2019 to celebrate my birthday. The experience was wonderful! 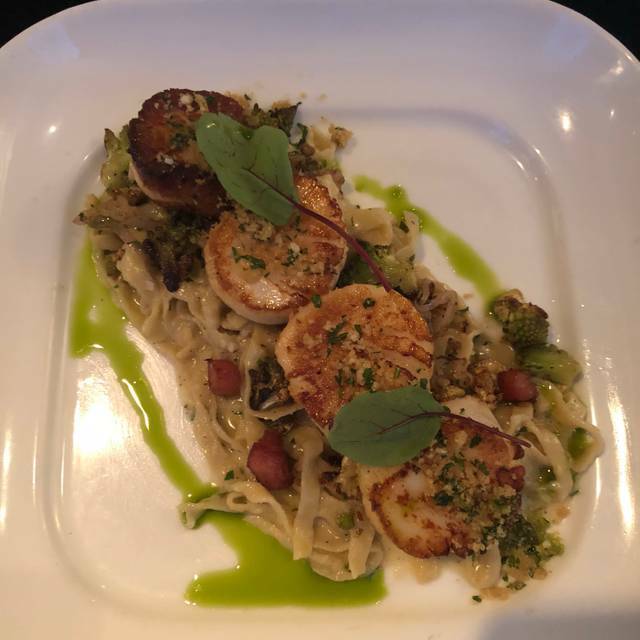 The ambiance was quiet and elegant; the staff - from the maître d' to our server - were welcoming, kind, and gracious; our server Tammy was particularly helpful and delightful; and the food was absolutely delicious. 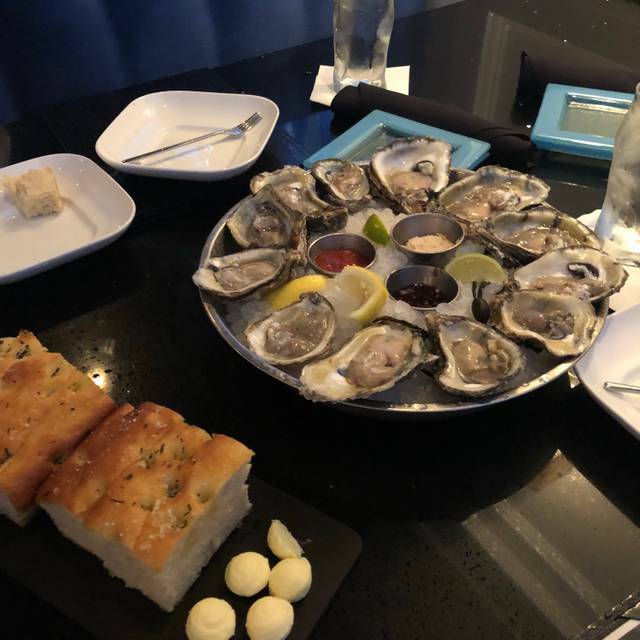 I had the baked oysters appetizer and the yellow sea bass entrée, with fried rice and quinoa, and loved every bite. My mother had the same, and found it delicious. My sister had the salmon entrée and crab cakes, and she enjoyed every bite. It's a great place to go for a delicious dinner and a lovely evening! I was so disappointed with this place. I ordered the tuna tacos and they tasted horrible, like the tuna was bad or something. I couldn’t eat them. Instead I had some drinks and left. Really was a great restaurant. From the Happy Hour drinks and oysters on the half shell to the fish dinners and sides, food was delicious. Great service, live music (soft guitar player) added to our special birthday night. Highly recommend for fresh and tasty seafood. We chose this place based on reviews and it’s very good. Not as amazing as I had anticipated but I had high hopes. The service started off a bit rough but then rebounded during the dinner. 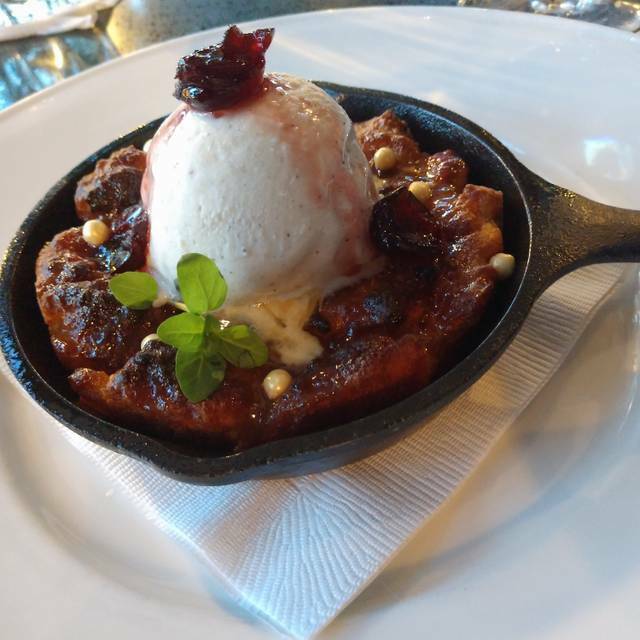 The crab cake is wonderful and you MUST MUST MUST try the beignets for dessert! We also had the lobster and it was good although I think I would have preferred it to be cracked and shelled. The tuna hot stone was very fun! It was tasty although I’m not sure I’d do it again. Fun experience to try once. Wine selection was good and I thought pricing was very fair. Beautiful restaurant and atmosphere but I just felt it was lacking a full five stars. Overall a good experience and actually I felt as though it was very fairly priced. This is a beautiful restaurant that is great for special occasions. 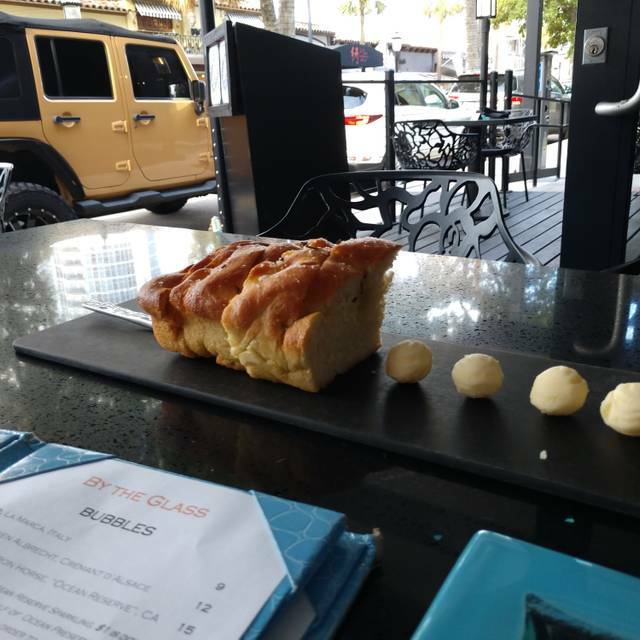 It is one of 4 restaurants at the Riverside Hotel but is accessible street side on Las Olas Boulevard. Our waiter was wonderful and very knowledgeable about the menu offerings. A fun appetizer is the ahi tuna presented with a hot stone so that you can sear your own tuna, served with wonton chips and a spicy aioli. I enjoyed some east coast oysters and the crab cake. 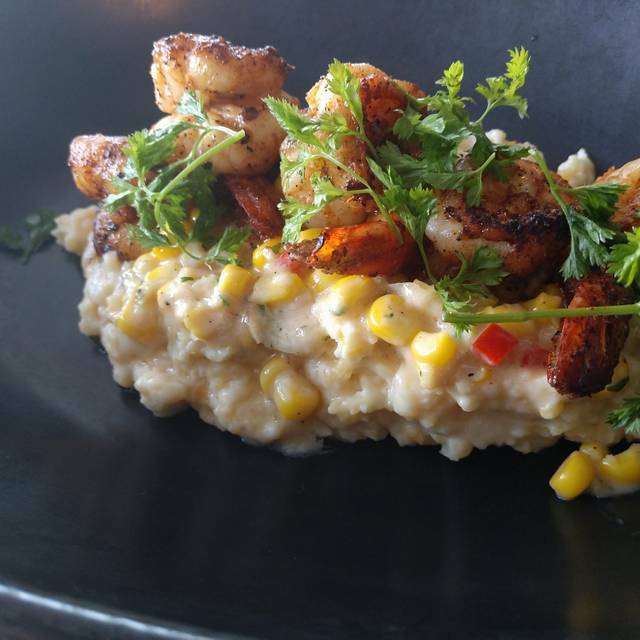 The stone-ground grits served with the monkfish entrée were amazing! I would definitely dine here again the next time I am in Fort Lauderdale. My wife and I spent our Saturday Evening Date Night at Wild Sea Saturday, March 23. This was our 2nd visit. The food is very good however if you are a meat eater, the menu is extremely limited. The sea foods are extremely well prepared and seemingly very fresh. 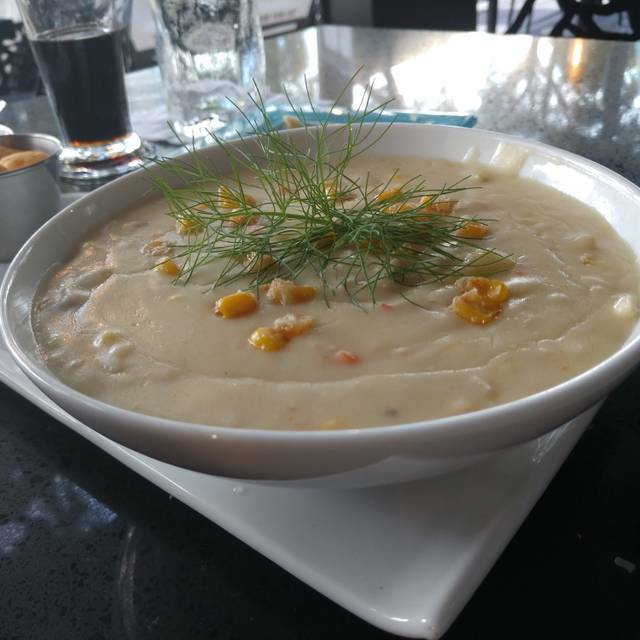 Wild Sea has a classy atmosphere especially if you dine in the room without the bar. You must ask for this room when you make your reservation or you may end up barside or outside. Both times we ate here there was an electric violin player performing. He was terrific but he ends his gig at 9:30 for some strange reason. My suggestion...go earlier than usual to dine and enjoy the violinist. We sat outside on a nice evening and enjoyed a delicious meal of salmon sashimi appetizers followed by corvina (perfectly prepared crispy on the outside and tender/moist on the inside) and tuna (again, perfectly prepared and so fresh). They have a great wine selection by the glass as well. Our waitress was excellent, making good suggestions for us. We'll be definitely be back. I have been to Wild Sea many times. Let’s just say tonight was an off night for them. The chef was amazing and accommodating to our allergies. It's always a pleasure to dine when the server and the chef truly cares about the guests. Adestin was our server, he was amazing! And the food was FANATASTIC! 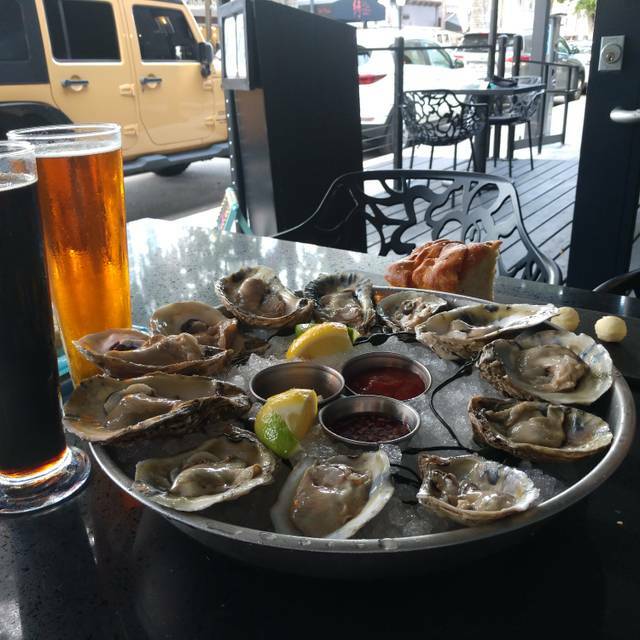 ALSO $1.50 oysters for happy hour...you cant beat that! Will definitely be back!! Great place and location. The raw bar is great! The happy hour price is pretty decent. A little cold inside (AC) and courses were rushed. Entree came while starters were still being eaten but food was excellent and live music provided nice ambience without being invasive. Super disappointed with this place. Service was the worst I’ve experienced, food came out cold. Started of nicely, but as soon as the manager left to “make the rounds at the other restaurants”, it went steep downhill from there. The kale salad we ordered to share after our appetizers came, when I was still working on my appetizer. No extra bowl for the mussel shells was provided. Our waiter - as well as the others - disappeared for long periods in the kitchen area, chatted at the bar or just ignored customers. Mind you, it was mostly empty that night! We had to ask three times for the waters to be refilled, it never happened still. My husbands main course came out cold, mine was luke warm - we would have liked to say something, but again - no one in sight forever. We gave up and just ate, as there was no point. Then our waiter brought out the glass of wine my husband ordered for the main course which by that time he had finished - and brought one for me which I didn’t order. When I asked why, he said he won’t bill it then, it would be as a gesture for our anniversary we were celebrating?! I was confused why one would bring wine that wasn’t asked for and then make it an “anniversary gesture”? I’m used to being offered a dessert, which we actually would have ordered, but we never got the chance. When I asked if the waters could finally be filled up as we had asked for with no luck several times now, he was getting pouty like a scolded kid and just brought us the check - we didn’t ask for at that time. We had no chance to even look at the dessert menu at all - forget being able to order it, as he was completely ignoring us now. What an awful experience and a ruined anniversary dinner. I hope the host Brandon at least gave our complaints to the manager who was still “ making the rounds”. I really would have liked to speak to him about our experience. Surely, we won’t return and I can not recommend this restaurant - the food wasn’t that outstanding to begin with. Very slow service, very noisy . Delicious dinner with friends. Hot stone tuna app is unique and excellent. All fish entrees were excellent. Fresh and tasty. Dessert of Red Velvet beignets - fabulous. Ambience is warm and charming with a touch of seaside. Service unfortunately doesnt match the level of food or quality of restaurant. Menus never taken away, quite a wait between apps and entrees; server pleasant, but felt more like a bar server than fine dining. We all live in FL and have to deal with lackluster dining service. The food and ambience is excellent, however. Extremely expensive. Way overpriced. I can get 100 times better food in Europe at a quarter of the price. Pretty embarrassing. Food was average. Nothing special. Got high ratings on TripAdvisor. Would not recommend this restaurant to anyone. Even the people I don’t like. Great spot. Overall great food. Most everything is done well. Service was friendly and attentive. Cocktails are well done. They make a great old fashioned. We will go back. We were only in Fort Lauderdale for the weekend. We looked online for a restaurant and we were super pleased with Wild Sea! Not only was the food delicious, it was fresh and creative in preparation. We also enjoyed walking around the neighborhood after dinner. Fun area! Had dinner at Wild Sea while on a short vacation to Fort Lauderdale. Beautiful restaurant and food was good. What made our evening was our server, Kristen. For whatever reason, we were being very indecisive and Kristen was very helpful and accommodating throughout the meal. She was most pleasant without being obtrusive and made our evening out very enjoyable. Such a great meal! Overall great experience. We had a wonderful dinner at Wild Sea... exceptional service and amazing food! Highly recommend! Our food was delicious and the waiter was very nice! OYSTERS AND FISH SECOND TO NONE.. If you like seafood ...go there! Sat at the bar. Food was excellent. Service was outstanding.